Nick is well into an extensive critical discussion of François Laruelle's philosophy in his postings on accursedshare. Thanks, Nick! The topic of methodological individualism (MI) came up in a recent posting, and I underlined the connection between MI and some version of reductionism. Here I'd like to take a different approach and ask the question, what considerations can be offered in support of some version of social holism? First is a very reasonable point deriving from pragmatic objections to reductionism. If we know on ontological grounds that the behavior of the whole depends upon the features and behavior of the constituent parts and nothing else -- the heart of the theory of supervenience -- but also know that it is entirely hopeless to attempt to calculate the one based on facts about the other -- then perhaps it is justified to consider the whole as if it embodied causal processes at the macro-level. So there is a pragmatic argument available that recommends the autonomy of social facts based on the infeasibility of derivability. It is obvious but perhaps trivial to observe that the vector of influence flows through individuals who possess the grammar, norms, or folk beliefs -- this is the ontological reality captured by the microfoundations thesis. But perhaps a point in favor of a modest holism is this: the fact of the commonality of Yoruba grammar can be viewed as if it were an autonomous fact -- even though we know it depends on the existence of Yoruba speakers. But the point of the holism thesis here remains: that the social fact of the current grammar is coercive with respect to current Nigerian children in specific communities. And, perhaps, likewise with respect to other aspects of social cognition and norms. And this takes us some distance towards Durkheim's central view -- the autonomy of social facts. Now what about social structures? Can some instances of social structures be treated as if they were autonomous with respect to the individuals whom they affect? Here is how the home mortgage system works -- we can specify a collection of rules and practices X, Y, Z that regulate the transactions that occur within this system. The individual who wants to borrow from a bank or other financial institution is simply subject to these rules and practices. He/she doesn't have the option of rewriting the rules in a more rational or fair or socially progressive way; at a given point in time the rules and practices are fixed independently from the wishes or intentions of the people involved in the institution. Once again it is trivially true that these rules are embodied; but they function as if they were autonomous. And this is true for institutions at the full range of scope, from the local to the global. The advocate for a modest social holism might maintain two plausible positions: first, that all social facts are embodied in the states of mind and behavior of individuals; but second, that some social facts (institutions, social practices, systems of rules) have explanatory autonomy independent from any knowledge we might be able to provide about the particular ways in which these facts are embodied in individuals. The first is an ontological point and the second is a point about explanation. These points in favor of a modest holism are compatible with other important points about social entities -- the points about heterogeneity, plasticity, and opportunistic transformation that have been made elsewhere in this blog. In other words, we aren't forced to choose between "agent" and "structure"; rather, agents influence structures and structures influence agents. These arguments suggest two things. First, holism and individualism are not so sharply opposed as perhaps they appear. Making sense of the human world has always been a part of the continental tradition in philosophy. 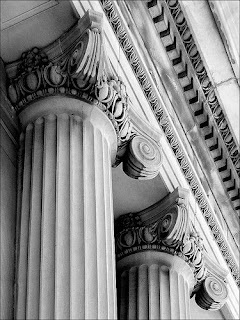 History, justice, and meaning are subjects that have played central roles in continental writings relevant to "understanding society" for three centuries, and dozens of philosophers have focused on these and related topics in deeply fertile ways -- Kant, Rousseau, Hegel, Montesquieu, Vico, Herder, Schleiermacher, Fichte, Feuerbach, Marx, Nietzsche, and Dilthey, to name an important dozen. I don't think it is wrong to say that history and society have been foundational questions in this tradition in ways they have not been in the Anglo-American tradition. So continental philosophy of social science (CPS) has much to draw upon. A second important idea is the notion that the social world is constituted by relationships, not monads. Hegel's Phenomenology provides one clear instance of this perspective -- think of the logic of defining the subject through interaction with the object, or of the Master-Slave narrative. Marx's theories of alienation and class likewise place "human beings in relationships" at the ontological center. Nietzsche too places the relational at the center of many of his philosophical theories. A third pillar of thinking in this tradition is the crucial role of history in human affairs. History matters; it is through history that humanity makes itself, and central social creations are the product of long historical evolution -- the state, language, religion. Vico and Herder offer good examples of this approach, and Hegel offers another. The philosophy of history is core to Hegel's thinking -- not only in his lecture notes on the philosophy of history but the Philosophy of Right and the Phenomenology of Spirit as well. A fourth important theme in CPS is the idea of knowledge through criticism. Feuerbach's transformative criticism is a case in point; likewise Marx's method of critique as an intellectual method and a conception of rigor. The phrase "a critique of political economy" recurs in numerous of Marx's subtitles; Marx's thought often proceeds through critical rethinking of the works of others. Dialectical thinking is one version of this approach, but there are other species of criticism as well. A fifth defining characteristic of CPS is the orientation it takes towards causation in the social world. In a nutshell, CPS doesn't attach much importance to causal relationships in the social world. Causation is a feature of the natural world, but CPS draws a sharp distinction between the natural and human worlds. The "human sciences" have to do with understanding rather than explanation, meanings rather than causes. So, CPS calls out a number of characteristics of the social -- history, meaning, hermeneutics, relationships, criticism, and dialogical thinking, to name several. What this picture does not emphasize is the set of ideas defining scientific rigor for the analytic tradition: an organized conception of theory, a theory of observation and evidence, the idea of the neutrality of scientific knowledge. This is systemic, because CPS is explicitly and implicitly anti-positivist. The implicit part is the more interesting. The continental tradition has a very different philosophical framework for epistemology and knowledge than the empiricist tradition, and a different conception about what constitutes rigorous knowledge. It is more inclined towards philosophical reasoning as a source of knowledge and generally less devoted to empirical inquiry. Yvonne Sherratt's Continental Philosophy of Social Science asks us to initiate this reflection -- and she is right. Other titles I have appreciated for their treatment of Hegel's philosophy of society and history include Shlomo Avineri, Hegel's Theory of the Modern State ; Joshua Dienstag, Dancing in Chains: Narrative and Memory in Political Theory , and Alexandre Kojeve, Introduction to the Reading of Hegel: Lectures on the Phenomenology of Spirit . These books illustrate how continental philosophy makes a substantial contribution to understanding society and history. There is an appalling level of inequality in American society; and even more troubling, the multiple dimensions of inequality seem to reinforce each other, with the result that disadvantaged groups remain disadvantaged across multiple generations. We can ask two different kinds of sociological questions about these facts: What factors cause the reproduction of disadvantage over multiple generations? And what policy interventions have some effect on enhancing upward social mobility within disadvantaged groups? How can we change this cycle of disadvantage? Several earlier postings have addressed some aspects of the causal question (post, post). Here I'd like to consider the policy question -- and the question of how we can use empirical evidence to evaluate the effectiveness of large policy initiatives on social outcomes such as mobility. One social policy in particular seems to have a lot of antecedent plausibility: a policy aimed at increasing the accessibility of higher education to the disadvantaged group. The theory is that individuals within the group will benefit from higher education by enhancing their skills and knowledge; this will give them new economic opportunities and access to higher-wage jobs; the individuals will do better economically, and their children will begin life with more economic support and a set of values that encourage education. So access to higher education ought to prove to be a virtuous circle or a positive feedback loop, leading to substantial social mobility in currently disadvantaged groups. It is a plausible theory; but are there empirical methods through which we can evaluate whether it actually works this way? Paul Attewell and David Lavin undertake to do exactly that in Passing the Torch: Does Higher Education for the Disadvantaged Pay Off Across the Generations? , published in 2007. Their research consists of a survey study of a cohort of poor women who were admitted to the City University of New York between 1970 and 1972 under an open-admissions policy. Thirty years later Attewell and Lavin surveyed a sample of the women in this group (about 2,000 women), gathering data about their eventual educational attainment, their income, and the educational successes of their children. Analysis of their data permitted them to demonstrate that attenders were likely to enjoy higher income than non-attenders and to have children who valued education at levels that were higher than the children of non-attenders. The benefits of higher education in increasing personal income were significant; they find that in the population surveyed in 2000, the high school graduate earned $30,000, women with some college earned $35,000, women with the associate's degree earned $40,783, women with the bachelor's degree earned $42,063, and women with a postgraduate degree earned $54,545. In other words, there was a fairly regular progression in income associated with each further step in the higher education credential achieved. And they found -- contrary to conservative critics of open-access programs in higher education -- that these women demonstrated eventual completion rates that were substantially higher than 4-6 year graduation rates would indicate -- over 70% earned some kind of degree (table 2.2). "Our long-range perspective shows that disadvantaged women ultimately complete college degrees in far greater numbers than scholars realize" (4). So access to higher education works, according to the evidence uncovered in this study: increasing access to post-secondary education is the causal factor, and improved economic and educational outcomes are the effect. This is an important empirical study that sets out some of the facts that pertain to poverty and higher education. The study provides empirical confirmation for the idea that affordable and accessible mass education works: when programs are available that permit poor people to gain access to higher education, their future earnings and the future educational success of their children are both enhanced. It's a logical conclusion -- but one that has been challenged by conservative critics such as Bill Bennett. And given the increasing financial stress that public universities are currently experiencing due to declining state support for higher education, it is very important for policy makers to have a clear understanding of the return that is likely on the investment in affordable access to higher education. Suppose we have visited quite a few rodeos in Arizona and Texas and have observed a couple of things: there are more injuries in rodeos than in stock car racing or football, the stakes for the winners are lower than in golf, the rodeo riders score higher than average on the "introverted" component of the Myers-Briggs personality profile, some rodeos are almost silent places, and the parking lots are filled with a higher percentage of beat-up F150s than a typical baseball park. What would count as "giving an explanation" of these features of this particular type of social activity? And what kinds of mechanisms might serve as a basis for explanations? Rodeos are an instance of a broader category of social activity that we migh describe along these lines: "mass entertainment events featuring professional athletes/performers and drawing extensive numbers of paying customers." The comparative judments expressed above take the form of contrasts across several different sub-categories of this broad set -- e.g., baseball, stock car racing, football, golf, soccer, circuses. We might further analyze this group of events in terms of several structural features: the character of the audience, the character and recruitment processes of the performers, the rules of the event, the culture of the activity, the meaning of the activity within the broader society, and the business fundamentals of the event (sources and quantity of revenue). Let's pull apart a few of the patterns noted above, and consider some social mechanisms that might explain them. Personality profile of rodeo riders. Rodeo riders seem to have a different social psychology than baseball or soccer players; they are more solitary, introverted, and self-sufficient. 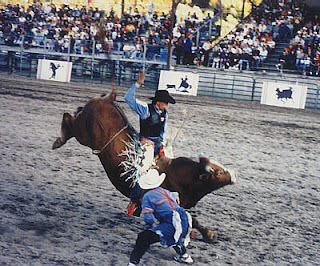 This feature of rodeos presumably derives from the social selection processes through which an individual becomes a highly skilled rider; the personality features that are best suited to superior performance; and the cultural expectations of behavior within the activity and within the broader society. So an adequate explanation of this distinguishing feature of rodeos will probably invoke the processes of selection through which the performers are recruited, and the feedback and training they receive in the "minor leagues" of rodeo. Here the mechanisms are selection / filtering and training / inculturation. Size of winnings. The size of the winner's purse depends primarily on the revenue structure of the sport, which depends in turn upon the popularity of the sport, the affluence of the audience, and the size of the national or worldwide audience for the sport on television. The purse serves as a primary incentive for the most talented performers; rodeo operators compete with each other for the top performers; and competition among operators pushes the purse to a level commensurate with the total revenues generated by the sport. The audience for stock car racing is much larger than that for rodeo, both regionally and nationally; and the purses are correspondingly higher. Here the mechanism is business competition. Incidence of injuries. Riding a bull is a generally hazardous activity. So we would expect that riders will be injured. But so is driving a car at 180 miles per hour -- and yet the incidence of injuries in NASCAR racing is substantially lower than that in the rodeo circuit. So paying attention simply to the inherent danger of the activity probably doesn't explain the difference. Instead, it seems reasonable to ask whether there are institutional differences across these sports -- the structure of the safety systems that each embodies -- that account for different rates of injury in different types of performance. Industries that have developed genuine institutional commitments and rules governing safety generally demonstrate better safety records. So we might hypothesize that the culture of safety is less strenuous in the rodeo circuit than in professional football or stockcar racing. Here the mechanism is the institutional setting in which the activity takes place, including the presence or absence of penalties for operators with bad safety records. The parking lot. We notice that the distributions of cars and trucks in the parking lots are quite different at rodeos compared to soccer matches. The vehicles come with their owners; so these differences must derive from differences in the audiences of the two sports. Here we have another example of selection: the composition of the parking lot corresponds to the selection of people who are interested in attending rodeos; this group has a set of tastes and preferences that favor F150s over other vehicles; and the result is -- a preponderance of pickup trucks in the rodeo parking lot. (And the trucks are in bad shape for several reasons -- the generally lower income level of the rodeo fan and the likelihood that he/she does a lot of back-country driving.) The mechanism here is -- social selection. The silent audience. We observe once in a while that the audience at a small rodeo is plainly enjoying itself -- but there is almost no clapping or shouting. There is no roar of the crowd. Why so? Here we may find a cultural explanation in the background -- this rodeo is drawing an audience of Navajo people, and applauding and shouting are not the means by which Navajo fans express their appreciation and enjoyment. Here the mechanism is -- cultural practices. What seems interesting to me about this example, is the fact that there are a number of quite different social mechanisms at work that lead to the particular characteristics of such a mundane activity as the rodeo. There is no single process we should point to as the explanatory foundation of rodeo phenomena; instead, there are selection mechanisms, business incentives, cultural practices, media promotions, and socialization processes for both participants and audiences that influence the activity as a whole. And, interestingly enough, these mechanisms can lead to some common characteristics across the set of what appear to be a fairly arbitrary set of activities -- public arenas where daring men and women ride large, dangerous animals for pay. The social characteristics of the audiences, the performers, and the local institutions defining the activity impress a unique stamp on these performances that distinguish them from other public entertainment activities such as circuses or NASCAR races. Methodological individualism (MI) is a doctrine in the philosophy of the social sciences about the relationship between "society" and individuals. The idea can be formulated in several related but somewhat different ways: social facts are constituted by facts about individuals; social entities are composed of individuals and their properties and relations; social structures and entities are "nothing but" ensembles of individuals and their behaviors; social explanations must be derivable from facts about individuals; scientific statements about "society" must be reducible to statements about individuals and their properties and relations; social laws or generalizations must be derivable from general facts about individuals. And there are probably other possible formulations as well. The idea of methodological individualism is one that has appealed to philosophers and social thinkers for almost as long as there has been systematic thinking about social science. Modern philosophy of social science began in the nineteenth century, and John Stuart Mill's theories of social knowledge contained the assumption of methodological individualism (The Logic of the Moral Sciences ). Max Weber also put forward the doctrine in The Methodology Of The Social Sciences . A classic statement was presented by J. W. N. Watkins (1968), "Methodological Individualism and Social Tendencies" in May Brodbeck, Readings in the Philosophy of the Social Sciences . The logical contrary of MI is the idea of social holism, most explicitly advocated by Emile Durkheim in Rules of Sociological Method . Holism is a form of anti-reductionism; it maintains that there are facts about the social world that do not reduce to facts about individuals. Society is autonomous with respect to the individuals who "make it up". There are social forces (e.g. systems of norms) that exercise causal power over individuals, instead of norms being constituted by the psychological states of individuals. Other varieties of social holism are possible as well. Structuralism is the view that social structures exercise autonomous causal properties, as expressed in such authors as Levi Strauss, Althusser, and Foucault. Arguments in favor of methodological individualism derive from several insights. First, there is the point that social facts are evidently constituted by the thoughts and behaviors of groups of individuals. Social movements are composed of individuals with specific psychologies and beliefs; organizations are composed of individuals; and, arguably, moralities and cultures are made up of individuals with specific beliefs and values. Second, there is the point that social "laws" are rare, exception-laden, and conditional; so there is a methodological reason to look for the more basic laws that may regulate social behavior -- at the level of individuals and their psychology. Third, there is a preference for ontological sparsity: if we can explain social facts in terms of facts about individuals, then we don't need to attribute ontological status to social facts and entities. Fourth, there is a "materialist" or anti-occultist preference that is appealing to many philosophers; the idea that social facts might be autonomous with respect to individuals gives an impression of occult causal powers or action at a distance. So there is a range of reasons to think that social outcomes are made up of or determined by the aggregate results of individuals and their interactions. MI has been particularly appealing in certain disciplines of the social sciences -- especially economics and political science. In each case the perspective of "rational actor theory" has appeared to be a very promising line of explanation: explain the behavior of groups (consumers, voters) as the aggregate outcome of individuals making choices with a specific set of beliefs and preferences, within a specific set of constraints. Other areas of the social sciences are less amenable to the theory of methodological individualism. Anthropology and sociology are disciplines that set the focus on the higher-level social conditions or causes that influence behavior -- a perspective that seems to be more comfortable with some form of holism. However, there is a range of opinion among practitioners of these disciplines as well, and there are anthropologists and sociologists who are more sympathetic to the impulses of methodological individualism. It is important to highlight some points that MI does not entail. MI does not entail that individuals are egoists or purely self-regarding. It does not entail that individuals are not social. It does not entail that social facts do not have causal consequences -- for other social facts and for individual behavior. It is indeed possible to reframe almost all substantive sociological theory in terms that are consistent with the reasonable conditions implied by MI. Even Durkheim's central theories can be formulated in a way that is innocent with respect to the charge of "action at a distance". And, from the other direction, even a theorist with as clear a commitment to MI as Max Weber, is still able to make "macro" or "holistic" claims about the causal importance of factors such as religion or morality. This sounds like a simple question. It sounds as if it is asking for us to discover a set of factors that influence the level of performance of individuals within a population when they get to colleges and universities. And we might speculate that there is a small group of potentially relevant factors: antecedent cognitive ability, attitudes, and values; location within a set of social relations that enhance or impede successful educational performance; quality of educational resources provided in K-12. We might reason that a given individual's performance is affected by his/her ability and motivation; enhancing or inhibiting circumstances; quality of educational "treatment"; and chance events or circumstances (a lucky break, an inspiring grandfather). And by examining antecedent conditions and outcomes across a large population of people, we might expect to be able to assess the degree to which various hypothesized factors in fact lead to differences in the performance of sub-populations defined by these factors. This analysis should shed light on the question, "What factors cause differences in university success?". Sorting this out sounds like a straightforward empirical question. Consider this hypothetical study. First, identify a cohort of high school seniors -- let's say, all the seniors in 2000 in metropolitan Boston. Suppose this is 5,000 people. (1) Measure a set of features of their situation during high school: high school performance, family situation, features of the school attended, socioeconomic status, family status, racial-ethnic status. 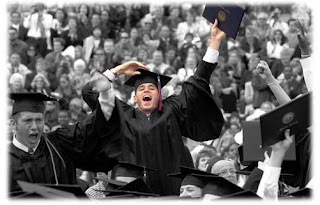 (2) Measure a set of psychological characteristics for each individual: motivation, determination, aptitude for mathematics, ... And, (3), measure college success five years following high school graduation (GPA, credit hours completed, degree attained). Let's say that each individual is coded for ABILITY (1, 2, 3); MOTIVATION (1, 2, 3); SOCIOECONOMIC STATUS (1, 2, 3); RACE (A, B, C); FAMILY STATUS (A, B); HIGH SCHOOL QUALITY (1, 2, 3); HIGH SCHOOL PERFORMANCE (1, 2, 3); and a factor representing one particular educational or curricular theory -- let's say, PEER COUNSELING (T,F). And let's say that outcomes are coded as DEGREE (NONE, ASSOCIATES, BACHELORS, MASTERS, PROFESSIONAL) and GPA (1, 2, 3). Now follow these individuals for 10 years: What further education do they pursue? Do they complete post-secondary education? What is their performance in post-secondary education? What occupations and jobs do they get? What income do they achieve by age 30? How much unemployment have they experienced? People who completed high school with high performance were 2.5 times as likely to complete a college degree as those with a low performance. People whose family income was in the top quintile were 5 times as likely to complete a college degree as those from families in the bottom quintile. The college completion rate for white students, Hispanic students, and African-American students were X, Y, and Z respectively. High school graduates from high schools with peer counseling programs were X percent more likely to complete a bachelor's degree. People living in single-parent households during high school had completion rates of X compared to Y for dual-parent households. A study along these lines provides a first indication of how some of these social characteristics may be related to performance in college. If a factor is not causally related to the outcome, then the population possessing this factor should have the same performances as the population lacking this factor (the null hypothesis). So if we find that differences in family structure or performance in high school are associated with differences in college performance, then we can infer that these factors play some causal or structural role in the outcome. However, these findings do not establish specific causal linkages among the factors. Take the hypothetical finding about family income: is this statistical discovery the result of this mechanism (greater family income provides more support for tutoring and academic support) or this mechanism (greater family income is associated with familial values that put strong emphasis on successful completion of university degree) or this mechanism (greater family income confers social advantages that make completion easier for affluent students)? In other words, the statistical discovery does not determine the nature of the causal relation between the antecedent condition and the outcome; it simply points the researcher towards investigating the concrete social mechanisms that might be at work here. The example demonstrates an important lesson about social inquiry. Statistical study of a population can in fact point us towards some preliminary hypotheses about social causation. But these statistical discoveries are only the first step. In order to confidently assert causal relationships between things like income and race, to educational outcomes, we need to arrive at a nuanced analysis of the social relations and institutions through which these gross factors play into individual outcomes. We need to have an account of the mechanisms and processes through which the effects of concrete social settings characterized by differences in family structure, SES, race, or schools play out in the social psychology and educational opportunities that determine the ultimate outcomes of the young people who pass through them. The philosophy of the social sciences is largely focused on questions about the nature of our knowledge, representation, and explanation of social phenomena. There is an ontological side to some of the questions in this field -- for example, what is the nature of social phenomena? But many of the questions are epistemological, having to do with the conditions of knowledge and representation that obtain when it comes to social facts. I think it is useful to sketch out a map that indicates the topography of some of the fundamental questions and approaches that have contributed to a better understanding of social science. And this effort will demonstrate that there is no single, coherent field that is the "philosophy of social science"; instead, there are overlapping and intertwined efforts by several traditions to arrive at better and more justified representations of social knowledge. The fruitful ideas in this field derive from several separate tributaries, it seems to me. One important source is the group of "founders" of the social sciences who themselves thought very hard about the question of the conditions of establishing a social "science". Max Weber, Emile Durkheim, Georg Simmel, William Thomas, and George Herbert Mead all had original and insightful ideas about what a scientific study of social reality might consist in. And, in most instances, these ideas were driven by their acquaintance with the richness of social life rather than by philosophical presuppositions. So these founders forged a philosophy of social research along the way as they constructed their models of what theory and research ought to look like in the study of the social world. Another important source for current philosophy of social science is the tradition of empiricism that led to twentieth-century analytic philosophy of science. Here we can highlight John Stuart Mill, Moritz Schlick, Carl Hempel, and Ernest Nagel as philosophers who brought the machinery of positivist epistemology to a conception of what the social sciences ought to look like. As suggested in an earlier posting, there are profound problems with some of these ideas; but there is no doubt that they have been influential. And this influence shows up very explicitly in social science writings concerned with the logic of quantitative social research. The intellectual framework of "scientific realism" is also an important tributary to contemporary philosophy of social science. Against the instrumentalism associated with positivism, this approach maintains that the social or natural worlds possess an objective set of characteristics, and it is possible to know the approximate outlines of these characteristics. When brought into contact with the social sciences, realism leads us to expect that there are real social structures, conditions, and causes, and that it is one of the functions of social science to describe those real circumstances and their relationships with each other. The recent emphasis on "social-causal mechanisms" is a version of scientific realism in application to the social world -- for example, Social Mechanisms: An Analytical Approach to Social Theory . 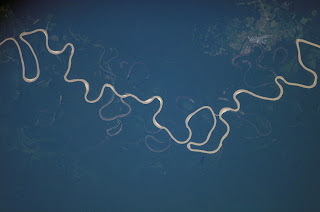 There are two other tributaries that are important contributions but that have been less influential for analytic philosophers of social science, one deriving from Marx and the other from thinkers like Dilthey and Gadamer. The first is materialism and an emphasis on social structures, and the other is the hermeneutic tradition. The materialist tradition attempts to organize social reality around a set of structures with causal properties (modes of production, property relations, forms of technology). The hermeneutic tradition takes "social action" as the fundamental social fact, and looks at the challenge of interpreting social action as the fundamental problem in social research. Yvonne Sherratt's Continental Philosophy of Social Science is a very useful study of the influence of these traditions, and I will return to her discussion in a later posting. Stan Lieberson is one of a group of sociologists for whom I have great respect when it comes to intelligent thinking about social science methodology. His 1985 book, Making It Count: The Improvement of Social Research and Theory , is a good example of some of this thinking about the foundations of social science knowledge, and I also admire A Matter of Taste: How Names, Fashions, and Culture Change in the way it offers a genuinely novel topic and method of approach. Lieberson urges us to consider "a different way of thinking about the rigorous study of society implied by the phrase 'science of society'" instead of simply assuming that social science should resemble natural science (3-4). 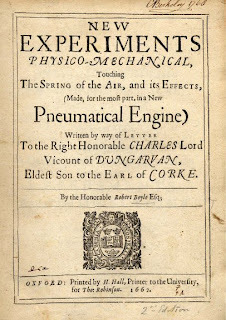 His particular object of criticism in this book is the tendency of quantitative social scientists to use the logic of experiments to characterize the data they study. where we do not yet know the contents of the list Ci. We consider the hypothesis that Cm is one of the causes of Z. We design an experimental environment in which we are able to hold constant all the potentially relevant causal conditions we can think of (thereby holding fixed Ci), and we systematically vary the presence or absence of Cm and observe the state of the outcome Z. If Z varies appropriately with the presence or absence of Cm, we tentatively conclude that Cm is one of the causes of Z. In cases where individual differences among samples or subjects may affect the outcome, or where the causal processes in question are probabilistic rather than deterministic, experimentation requires treating populations rather than individuals and assuring randomization of subjects across "treatment" and "no-treatment" groups. This involves selecting a number of subjects, randomly assigning them to controlled conditions in which all other potential causal factors are held constant, exposing one set of subjects to the treatment X while withholding the treatment from the other group, and measuring the outcome variable in the two groups. If there is a significant difference in the mean value of the outcome variable between the treatment group and the control group, then we can tentatively conclude that X causes Z and perhaps estimate the magnitude of the effect. Take tomato yields per square meter (Z) as affected by fertilizer X: plants in the control group are subjected to a standard set of growing conditions, while the treatment group receives these conditions plus the measured dose of X. We then measure the quantity produced by the two plots and estimate the effect of X. The key ideas here are causal powers, random assignment, control, and single-factor treatment. However, Lieberson insists that most social data are not collected under experimental conditions. It is normally not possible to randomly assign individuals to groups and then observe the effects of interventions. Likewise, it is not possible to systematically control the factors that are present or absent for different groups of subjects. If we want to know whether "presence of hate speech on radio broadcasts" causes "situations of ethnic conflict" to progress to "situations of ethnic violence" -- we don't have the option of identifying a treatment group and a control group of current situations of ethnic conflict, and then examine whether the treatment with "hate speech on radio broadcasts" increases the incidence of ethnic violence in the treatment group relative to the control group. And it is fallacious to reason about non-experimental data using the assumptions developed for analysis of experiments. This fallacy involves making "assumptions that appear to be matters of convenience but in reality generate analyses that are completely off the mark" (6). Suppose we want to investigate whether being a student athlete affects academic performance in college. In order to treat this topic experimentally we would need to select a random group of newly admitted students; randomly assign one group of individuals to athletic programs and the other group to a non-athletic regime; and measure the academic performance of each individual after a period of time. Let's say that GPA is the performance measure and that we find that the athlete group has a mean GPA of 3.1 while the non-athlete group has an average of 2.8. This would be an experimental confirmation of the hypothesis that "participation in athletics improves academic performance." However, this thought experiment demonstrates the common problem about social data: it is not possible to perform this experiment. Rather, students decide for themselves whether they want to compete in athletics, and their individual characteristics will determine whether they will succeed. Instead, we have to work with the social realities that exist; and this means identifying a group of students who have chosen to participate in athletics; comparing them with a "comparable" group of students who have chosen not to participate in athletics; and measuring the academic performance of the two groups. But here we have to confront two crucial problems: selectivity and the logic of "controlling" for extraneous factors. Selectivity comes in when we consider that the same factors that lead a college student to participate in athletics may also influence his/her academic performance; so measuring the difference between the two groups may only measure the effects of this selective difference between membership in the groups -- not the effect of the experience of participating in athletics on academic performance. In order to correct for selectivity, the researcher may attempt to control for potentially influential differences between the two groups; so he/she may attempt to control for family factors, socio-economic status, performance in secondary school, and a set of psycho-social variables. "Controlling" in this context means selecting sub-groups within the two populations that are statistically similar with respect to the variables to be controlled for. Group A and Group B have approximately the same distribution of family characteristics, parental income, and high school GPA; the individuals in the two groups are "substantially similar". We have "controlled" for these potentially relevant causal factors -- so any observed differences between academic performance across the two groups can be attributed to the treatment, "participation in athletics." But Lieberson makes a critical point about this approach: there is commonly unmeasured selectivity within the control variables themselves -- crudely, students with the same family characteristics, parental income, and high school GPA who have selected athletics may nonetheless be different from those who have not selected athletics, in ways that influence academic performance. As Lieberson puts the point, "quasi-experimental research almost inevitably runs into a profound selectivity issue" (41). There is lots more careful, rigorous analysis of social-science reasoning in the book. Lieberson crosses over between statistical methodology and philosophy of social science in a very useful way, and what is most fundamental is his insistence that we need to substantially rethink the assumptions we make in assigning causal influence on the basis of social variation. Why do people pursue education -- whether through secondary school or through post-secondary school? It seems like a very simple question with an obvious answer: education adds to one's skills and productivity; these enhanced skills make one more attractive in the employment market; and therefore, pursuing education is a rational investment in future lifetime earnings. (The economic impact of post-secondary education has been estimated to be at least one million dollars in additional earnings for the baccalaureate graduate over the high school graduate in the United States.) In other words, the simple answer appears to be that people make rational decisions about their investments in training and education, and they see the financial advantage that can be expected by having completed a degree program. More education is a valuable investment in future income, security, and status. However, this answer stimulates quite a few difficult questions. Most fundamentally -- how are we to make sense of the behavior of the people who do not make this choice? The chart posted above indicates that in the United States, less than 30% of 25-29 year-olds have completed a four-year college or university degree -- and this percentage has only risen from 22% to 26% from 1971 to 1995. Moreover, this statistic does not include high school dropouts. So if more education is so plainly a rational investment, why is there such a low participation rate in the United States? Why do so many teenagers drop out of high school? (A recent study estimates that the drop-out rate in the Detroit public schools exceeds 50%, with some estimates going as high as 78%.) Why do many high school graduates choose not to apply to colleges or universities? (Only 36% of adults between 18-24 in the United States are enrolled in college or graduate school; Institute for Higher Education Policy report.) And why do under-educated but qualified young adults choose not to return to colleges or universities to complete their degrees? (In southeast Michigan, for example, there are more than 150,000 young adults between 25-34 who have completed some college courses but have not earned a degree.) So what are we to make of this evidence of dropping out, non-attending, and non-continuing? Here are a few answers that have been proposed: some people lack the ability (or believe so) to complete their educations; some people lack the discipline to work hard today for a benefit that will only materialize in the distant future; some people lack the confidence that the normal opportunities that await university graduates will be available for them (because of racial discrimination or recession, for example); some people simply don't think clearly about their current choices -- they don't plan well for the future; and, perhaps, some people are not strongly motivated by material incentives (income, career advancement). Most of these explanations make sense of the behavior by re-describing the terms of the choice -- thereby making the observed behavior "rational in the circumstances"; or they explain the behavior by referring to "failures of rationality" -- weakness of the will, miscalculation, indifference to future benefits. (Jon Elster's work has often focused on these sorts of failures; Ulysses and the Sirens: Studies in Rationality and Irrationality .) But these explanations don't seem sufficient; they appear to dissolve the problem rather than explain it. To these rational and structural factors, though, it seems relevant to ask whether there are also cultural expectations and community values that underlie the choices made by young people in various communities concerning education. There is the idea, for example, that midwestern manufacturing regions had developed a culture of complacency about education created by the availability of well-paid manufacturing jobs in the 1950s-70s. The easy availability of manufacturing work that required only a high school education led families to believe that their children didn't need good educations in order to succeed in the world of work they would be entering. This set of expectations, it is argued, led to a familial attitude that guided young people towards choices that gave little importance to advanced education -- and, for that matter, little attention to the importance of strong performance in K-12 schooling -- a kind of "Beach Boys" mentality (cars, parties, fun). It would be interesting to know what attitudes towards higher education are found in Appalachian mining communities -- is a college education valued by most families as a key ingredient of a good future, or is college education regarded as something foreign and unnecessary? And it seems that there is an opportunity for some good anthropological research on the Latino communities of the United States to help explain why high school completion rates and college attendance are lower than in other struggling communities in the United States. So the question here is an important one: are there cultural values that work against placing a high value on educational attainment? What steps can be taken to mitigate these forces? And how do cultural, structural, and familial factors interact to give rise to low educational aspirations for a sizable percentage of the American youth cohort? This is for me a large part of the fascination of the topics raised in this blog, UnderstandingSociety. Most postings here are concerned with how we perceive social affairs; how we organize these perceptions into representations of larger social constructs; and how we attempt to make sense of what we perceive and organize -- that is, how we understand the social world that we inhabit. And these are problems for observers at every level -- social science experts, social policy designers, and ordinary people. Much of this description has as much to do with ordinary people making sense of their social world as with social scientists constructing complex theories and explanations of the social world. But this is appropriate, because I don't think there is a difference in kind between the two kinds of social cognition. Or rather, there is a difference between ordinary perception of society and social science; but it is a difference of degree of rigor about evidence and hypothesis rather than a difference in the nature of the representations and inferences that either ordinary people or scientists arrive at. So what are some of the aspects of social life that people observe directly? Take some of the fundamentals: family relations, race relations, or economic relations. Marie, a maid in a luxury hotel, has a perspective of several of these social categories. She has a very direct perspective on the employment relation -- she is poorly paid, her supervisors are rough and disrespectful, and maybe she is subjected to a degree of sexual harassment on the job as well. (The nature of experience at this level of society is one of the interesting things we can learn from Barbara Ehrenreich's book, Nickel and Dimed: On (Not) Getting By in America ). Marie also has an interesting perspective on class relations in our society -- the comings and goings of the affluent, some of their values, how they dress, and the ways that they treat people outside their circles. Further, since the imagined Marie is Haitian, she also has a perspective on race, culture, and ethnicity in America. And, if she is a thoughtful observer, she may well have organized these observations into some "theories" or mental frameworks about how capitalism works, how racial discrimination works, how class and status serve to structure interpersonal relations in places like restaurants or hotels, and what America is like. In other words, this maid is an active observer and interpreter of social structures, social behaviors, and social relations. What is the epistemic status of Marie's theories? We've already noticed two important features: first, her theories are derived from her own experience and observations; and second, they are partial and perspective-bound. The first point provides a basis for thinking that these theories are empirically grounded and worthy of attention. And the second point pretty much assures that they aren't completely "true". What looks like racial discrimination or condescension in the behavior of some of the guests may be something more complicated. Race relations in a factory may have a different feel and structure than race relations in a hotel. And it may be that Marie's theories about what is happening are pretty accurate concerning her local workplace, but her theories about how and why this is happening may be wildly wrong. In other words, Marie's representations, based on observation and experience, are an important input into a somewhat more comprehensive sociology of work, race and class. The more comprehensive treatment ought to consider the experiences and cognitions on these subjects of a wide range of people -- architects, taxi drivers, engineers, transit workers, and public school teachers, for example. And it ought to consider some of the mechanisms and structures through which these lived experiences are generated and inter-connected -- the mechanisms of race, the structures of urban poverty, or the dynamics of discrimination in the professional workplace, for example. One way of taking these observations in the direction of constructing a more complete effort at "cognizing" society is perhaps not quite right, but it is intriguing. It is the idea that one component of a "sociology of the present" might be an enormous "wiki" of lived experience, in which participants throughout society and at every level offer their perspectives on the nature of the social relations in which they operate and their hypotheses about how these connect to more distant social institutions. (The realist novels of Emile Zola -- The Fortune of the Rougons and dozens of other novels in a chronological series about this hypothetical family -- sound a bit like this in their nuanced depiction of the experiences of people of all classes in 19th century France.) What this comprehensive wiki of social life would not provide, is an organized set of ideas about social causation and structure -- about why and how the patterns that are revealed come about. Many of us agree that "positivist" social science isn't a good idea. But what is encompassed by "positivism" in this setting? First, the favorable part of the story: positivism puts forward two ideas about conceptual clarity and empirical rigor that surely need to be a part of any intellectually sound effort to understand society, or to contribute to social science. Our concepts need to make sense (by some criterion of sense-making), and our assertions need to be supportable by some combination of empirical evidence and logical inference. These amount simply to the requirement that science should be rationally articulated and rationally justified. These are aspects of the epistemology of science advanced by the progenitors of positivism -- for example, Mill, Comte, the Vienna Circle, Schlick, Carnap, Hempel -- that I, for one, do accept. And if this were the full extent of positivism, then it would be hard to be anti-positivist. But positivist social science makes several additional assumptions about social knowledge that are untenable, in my view. First is naturalism -- the idea that the social and behavioral sciences should have the same structure and logical characteristics as the natural sciences. Chemistry and physics -- especially the classical versions of these sciences -- have a unified hypothetico-deductive structure; they discover laws of nature; and they derive the observable features of the domains of phenomena they encompass. Naturalism postulates, therefore, that sociology, economics, or psychology should have the same logical structure, because that is what "science" requires. John Stuart Mill clearly presupposed this assumption in his discussion of the "moral sciences." Third is an assumption about methodology, to the effect that measurement and quantification are essential aspects of scientific knowledge. So quantitative statements and theories are preferable to qualitative or descriptive statements; and the goal of a social science should be to discover a set of variables within the domain of investigation that can be observed, measured, and counted. This is a different aspect of the unity-of-science doctrine: the idea that there should be one privileged method of discovery and presentation for the social sciences. Where does this assumption come from? In part, it seems to derive from the physics-envy associated with naturalism; but perhaps there is also a Platonic dimension as well -- a preference for mathematics over descriptive or interpretive language. Fourth is an assumption about explanation, regularities, and laws. The assumption here is that explanation requires the discovery of law-like generalizations about the domain of phenomena encompassed by the scientific field. This assumption has two components: the idea that a well-defined domain of investigation must somehow embody a set of regularities, perhaps disguised by the noise; and second, that explanations within the domain of individual events or patterns of events must take the form of a derivation of the explanandum from the general laws mentioned in the explanans. 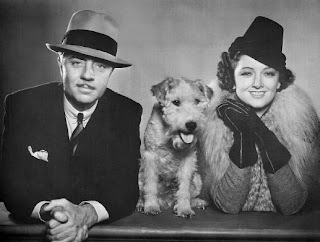 Carl Hempel and J.S. Mill agree about this premise. Fifth is an assumption about causation -- that causation is a feature of statistical relationships among variables rather than a feature involving causal necessity or causal mechanisms. This is a Humean approach to causation, and it leads positivist social scientists to restrict their attention to causal regularities rather than looking for real causal mechanisms. Finally, there is a sixth premise that has also created debate but seems less intrusive to the practice of innovative social science -- the insistence on the fact-value distinction. "Positive" science has to do with the discovery of facts, whereas ethics or policy stidies have to do with values. Do these assumptions necessarily travel together? Not necessarily, though there are some internal logical connections among them that make it more difficult to imagine them standing completely independently. But it appears to be a characteristic of the observed sociology of science for an important stream of twentieth-century social science research, that these features are clustered together. And many critics argue that these assumptions have created blinders for social-science researchers, limiting their originality in theories, concepts, and explanations of the social world. Critics of positivist social science ask us to consider a broader space of possibilities for research and theory formation in the social sciences. Taking the premise of scientific rationality as a given, what would a philosophy of social science look like that questioned the other premises on this list? What is a "post-positivist realism" for the social sciences? It is realist about causation; it affirms the scientific validity of seeking for real social mechanisms. It advocates for a conception of scientific explanation that hinges on the discovery of real causal connections among features of the social world. It is pluralistic about method; it acknowledges that there are multiple rationally supportable methods of inquiry in the social sciences, and multiple forms that social-science knowledge can take. It is even-handed among quantitative, qualitative, comparative, and narrative approaches to social inquiry and social explanation. It is anti-reductionist and anti-naturalistic: it does not presuppose that various areas of the social sciences should be reducible to some other, more fundamental scientific theory; and it does not presuppose that the social sciences should resemble the natural sciences. And, finally, it is fully committed to the positive features of rationality that were mentioned above: the scientific virtues of conceptual clarity and empirical-rational justification for scientific beliefs. This set of alternatives opens up the space of the social sciences quite dramatically; it permits a wide and pluralistic range of inquiries to proceed, without the requirement of theoretical or methodological unity. And this frees researchers to arrive at accounts of their domains of research that are well suited to the particulars of these domains. In a later posting I will come back to an important contribution to this debate, George Steinmetz's The Politics of Method in the Human Sciences: Positivism and Its Epistemological Others . Chuck Tilly's influence extended to many areas of world history. Visit this posting on TheChinaBeat for some reflections on Chuck's influence on the China field. Charles Tilly (“Chuck” to his friends and colleagues) was one of the world’s most influential social scientists, and his impact on Chinese studies will be long-lasting. His death on April 29, 2008, was a sad loss for many scholarly communities as well as for his friends and family. (See the SSRC memorial page, which includes a series of remembrances about Tilly. Chuck talks in fascinating detail about the evolution of his thinking in a video interview I conducted with him in December 2007.) Tilly was a comparative historical sociologist with a primary interest in French contentious politics, and his writings have had deep impact on several generations of scholars. He helped to define much of the theoretical vocabulary that scholars use to frame their theories and hypotheses about social change, contentious politics, and state formation. The central focus of his empirical and historical research was on France, with important and illuminating treatments of revolution, counter-revolution, popular politics, and mobilization from the Revolution to the Paris uprising of 1968. Chuck was often immersed in the historical specificities of French politics; but his mind always turned to theorizing and conceptualizing the circumstances he studied. And this meant that all of world history was of interest to Chuck. In particular, Chuck paid close attention to the recent literature in Chinese history. Astute references to current research on China can be found throughout many of his later books, including The Politics of Collective Violence. He was always most interested in discovering the “why” of the events that he observed – and how these “why’s” might be portable into other historical settings as well. (One of his last books carried the simple title, Why?.) This is what marked him as a comparative historical sociologist, rather than an historian using the tools of the social sciences. He wanted to understand what explained the course of the large processes he studied, and he felt this was most achievable through comparison across cases. Another title of Chuck’s puts the point vividly: Big Structures, Large Processes, Huge Comparisons. Here Chuck signals his theoretical interests: discovering the “how and why” of large social processes, and discovering what we can learn about social processes through careful comparison across settings. A very important development in Tilly’s thought was the turn to causal mechanisms rather than social generalizations as the foundation of explanations of large social outcomes and processes -- things like social contention, civil war, or revolution. Doug McAdam, Sidney Tarrow, and Charles Tilly worked out the details of this view in Dynamics of Contention. 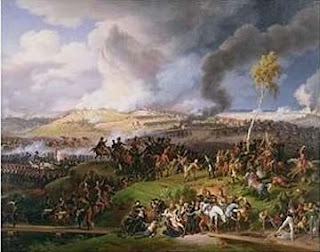 They argue that explanations of large social outcomes should be constructed by discovering the specific causal mechanisms present in the cases, rather than hoping to find a few high-level generalizations about “the causes of civil wars” or “general laws of ethnic violence.” And, it turns out, the idea of historical change as a concatenation of a number of social mechanisms is particularly useful in coming to grips with Chinese history. Chuck’s central historical contributions were to European studies. So what does all this have to do with the China field? Quite a bit, it turns out. 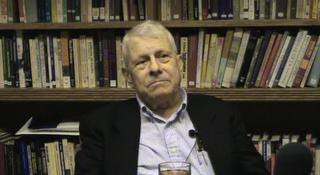 Chuck exercised a deep level of influence over a number of important strands of research in Chinese history and historical sociology. His thinking worked its way deeply into the intellectual “DNA” of young researchers in many fields of history and the social sciences in the 1970s and 1980s – with the result that his influence can be seen across the range of world histories, including Asian history, Latin American history, and African history. This occurred through several pathways. First, Chuck’s personal influence on graduate students at Michigan, the New School, and Columbia was enormous. The Center for Research on Social Organization at Michigan was a hotbed of innovative thinking about social research and historical comparison; and the style of thinking that the Center encouraged subsequently migrated to many areas of world history and many other institutions. Second, the fertility and innovativeness of his thinking was a constant source of influence for others, and he certainly stimulated new conceptual approaches to important problems in Chinese history. And finally, Chuck’s writings were prolific, assuring him of a wide sphere of influence. More than fifty books and more articles that one can reasonably count assured that his ideas would have wide currency. There are several specific areas in Chinese history where Chuck’s intellectual DNA seems particularly evident. Take the emphasis on historical comparison that was so central to Chuck’s work and worldview. A particularly fertile development in China studies in the past two decades is a new approach to large-scale comparison – new ways of thinking about how to compare the large developments of Western Europe and China, with regard both to political institutions and economic development. R. Bin Wong’s China Transformed sets the table for Eurasian comparisons in a new way. He urges us to compare the large economic and political development processes of Europe and China, without the blinkers of the Eurocentric assumptions that previous generations of economic historians have carried. This is an approach that is highly consonant with Tilly’s appetite for comparison and for fresh thinking about the ways in which we characterize those alternative experiences. Significantly, Bin Wong was an undergraduate student and a Junior Fellow at the University of Michigan, and he was influenced by Chuck at a very early stage. Ken Pomeranz’s Great Divergence pursues a similar intellectual agenda. Pomeranz too is committed to providing new and more nuanced comparisons between Europe and China, and the breadth and subtlety of his analysis, and his facility in using categories of social theory to frame the narrative, are very reminiscent of Tilly’s thought. This kind of comparative work across Eurasia is also at the heart of the work of historical demographers such as James Lee, Cameron Campbell, and Tommy Bengtsson. In Life under Pressure and later volumes the collaborative team of researchers involved in the Eurasian Population and Family History Project take the challenge of comparison very seriously, and attempt to identify patterns of fertility, mortality, and health across dozens of micro-communities across the expanse of Eurasia. This is a kind of historical research that incorporates several features that Tilly’s work highlights: careful quantitative analysis, attention to local details, comparison across different historical settings, and a rigorous effort to bring data and theory into one narrative. Significantly, James Lee too was a Junior Fellow at the University of Michigan and was affiliated with the Center during 1980 and 1981. Or take the infusion of good social analysis and theory into detailed historical research in the hands of scholars such as Peter Perdue in China Marches West. Peter was among the graduate students in Chinese history in the 1970s who were most directly influenced by the idea that good historical research needs to be informed by good social science thinking – and Chuck Tilly was one of those thinkers who wielded great influence on this generation. Peter took a year’s leave from his Harvard Ph.D. program to study with Tilly at Michigan, and the influence is apparent. For example, Peter takes up Tilly’s theories about state formation in his own effort to place a theoretical framework around the fluid dynamics of Russia, Qing China, and the inner Asian polities in China Marches West. “Tilly’s model, then, although it does not focus on China or on frontiers, helps to orient our discussion toward the interplay of military and commercial forces during the time of Qing expansion. Military considerations were primary, but not exclusive, in defining the empire’s identity” (530). Peter’s emphasis on the contingency of the developments that he describes in Central Asia is very important, and is also very suggestive of Chuck’s way of looking at historical change. Tilly’s work served to provide new questions for Chinese historians and new conceptual frameworks within which to attempt to explain the large processes of change that they were analyzing. State-formation, taxation, military provisioning, and popular politics were themes and theories that Tilly’s work helped to frame within recent work in Chinese history. And, of course, there is the vital area of peasant politics. 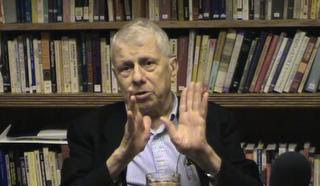 Chuck helped to highlight the central role that contention and popular politics plays in world history, from the local to the national to the global. And he was consistently fascinated by the particular processes and repertoires through which discontent turned into coordinated collective action. These topics are centrally important in Chinese history – whether we are thinking of peasant rebellions in the Qing or of environment protests in China today. Elizabeth Perry was herself a participant in the contentious politics project involving Tilly, McAdam, Tarrow, Goldstone, Aminzade, Sewell, and others, and her sustained work on collective action and peasant politics both contributed to and drew upon many insights in this fertile collaboration. One fruit of this collaboration is the edited volume,Silence and Voice in the Study of Contentious Politics, edited by Ronald Aminzade, Jack Goldstone, Doug McAdam, Elizabeth J. Perry, William H. Sewell, Sidney Tarrow, and Charles Tilly; the preface describes the origins and course of the collaborative project. Also relevant is her essay, "Collective Violence in China, 1880-1980: The State and Local Society," Theory and Society 13:3 (May 1984). Kevin O’Brien’s brilliant formulations (often with Li Liangjiang) of new ways of thinking about “rightful resistance” in China today owe much to Tilly (and to James Scott, another fertile thinker in the social science arsenal). O’Brien and Li’s analysis in Rightful Resistance in Rural China also makes extensive use of the most recent turn in Tilly’s thinking about contention, his emphasis on the social mechanisms of contention. Other historians and sociologists who have focused on popular politics in China similarly show the influence of Tilly, either directly or indirectly. When Joseph Esherick and Jeffrey Wasserstrom consider the “political theater” of 1989 (“Acting Out Democracy” in Popular Protest and Political Culture in Modern China), they think of Tilly’s concept of repertoires of contention (36). And later in the essay their effort to place the “theater” of 1989 in a comparative perspective and in the context of the institutions of civil society within which the contention took place is very consistent with Tilly’s framework and style of approach. C. K. Lee is another genuinely gifted sociologist with a central interest in protest and mobilization (Against the Law: Labor Protests in China’s Rustbelt and Sunbelt). She doesn’t refer frequently to Tilly, but the way that she lays out the problem seems to me to reflect many of the mental frameworks for analyzing contention that Chuck advanced throughout his career. What this seems to show is that the conceptual frameworks for how to think about contentious politics that Tilly constructed throughout his career have percolated through the China field, and that younger scholars are now pushing those ideas further in directions Chuck could not have anticipated but would have appreciated greatly. I am sure that this thumbnail accounting leaves out important ways in which Tilly has influenced the China field. In fact, if Chuck himself had taken on this question – how did one thinker’s ideas spread their influence over several other fields of research? – I am sure he would have come up with a smart way of tracking and observing the influence. And of course the forms of influence that I have highlighted here do not detract at all from the originality and innovativeness of these scholars. But I think the central point is clear: Chuck Tilly established new ways of looking at the landscape of large social change; he posed a new set of questions about power, coercion, and contention in the give and take of human history-making; and he laid out an extensive vision of historical process that has been deeply influential on historians in every field. Chinese history faces a huge range of challenges, and innovative thinking about how to understand social change and social persistence is crucial. Chuck Tilly’s fertile sociological imagination has added much to this field, and has much still to offer. Is publicity an important source of power?